*They then discuss ELO, endemic dropping to preserve rating points, and possible alternatives. Everyone unanimously agrees that some sort of Pro Point ("Play! Point" per Kettler) -focused system is the way to go. Also included are several ways to keep ELO in-tact, such as not rotating the system every year, as well as skill-based modifiers. *Finally, the conclude with several user questions. Fun times! So that's that. Not sure what's on tab for next week, but we're going to have some really exciting stuff in store for you all, so be prepared for some great pieces. All right, so it has come to my attention that several of you will be visiting Planet Martin (San Diego) for the World Championship events. However, since a vacation shouldn't be entirely about Pokemon, here are a few awesome places you need to see during your stay here. Southern California's specialty is ridiculously unhealthy (yet authentic) Mexican food LAYERED with ingredients. On Carne Asada Chips, Nachos, and even Burritos, you get all the good stuff. You can look to get Sour Cream, Guacomole, cheese, beans, etc and it is to die for. If you don't know, Carne Asada is strips of beef that is marinated and combined with all the said ingredients to provide your mouth with the best experience since having Andrew Murray in it. Carne Asada Nachos/Fries range around 8 bucks. Carne Asada Burritos usually fetch at only 5 bucks. 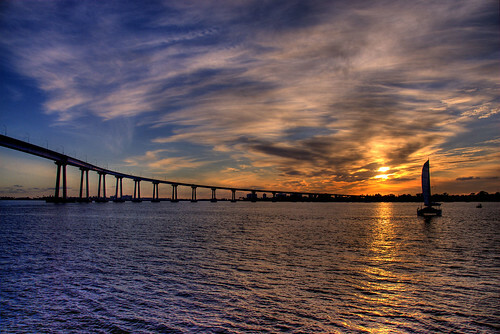 You may recall seeing the Coronado bridge in the movie Anchorman. Some call it the crown jewel of San Diego, next to Martin Moreno of course. It's a beautiful bridge and an interesting fact is all over the sides of it you can see postings for suicide hotlines for obvious reasons. 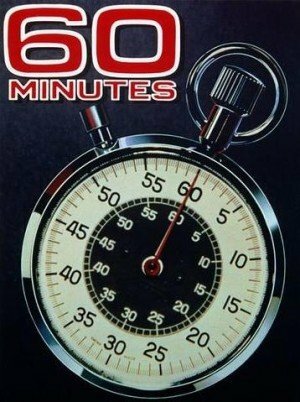 So if any of you lose the first round of Last Chance Qualifier, this might be your next/last stop. 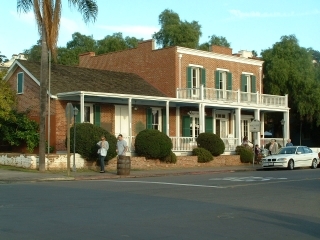 For you thrill seakers, we have the Waley house, a building that has been featured on multiple ghost hunting television shows, and remains a popular tourist destination. As the story goes, some guy who owned it was hung on the property grounds. Needless to say, his spirit got pretty pissed off about it, and so he has tortured the family there for over 50 years. I have had the pleasure of seeing it; unfortunately, though, I did not see any ghosts. Located in the more financially-blessed area in San Diego is La Jolla Shores, the most beautiful beach California has to offer. I have many memories of driving women here and instantly getting action, because the view is just too breath taking. But beyond that, it's simply a fun place to be overall, and before every World Championship here in California, I would take time to lay on the sand, clear my mind, and gett in the zone for the next day. A must-see, for sure. WARNING: the women will NOT talk to you if you look like scum. Just play it smooth, and probably don't mention Pokemon. It's also a good idea to make up a story to keep them interested (e.g., say that you're the nephew of a wealthy oil tycoon). Have you ever wanted to go out and buy more designer Sunglasses, and just didn't want to waste all that beautiful sunshine being indoors? I know this has happened to me when I've been out of state; however, this is NOT an issue at Fashion Valley Mall. 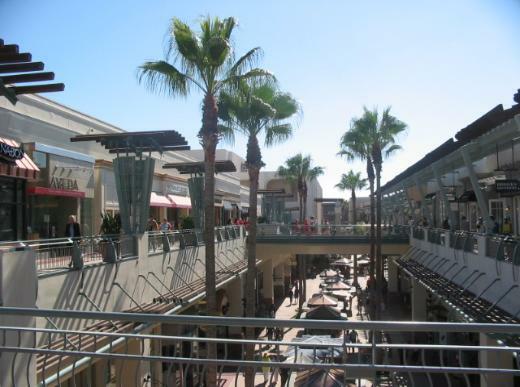 Conveniently located near Mission Beach, Fashion Valley Mall sports many of your favorite shop, such as: Sunglass Hut; Gucci; Neman Marcus; Abercrombie; Pac Sun; and so much more. EVERYTHING is outdoors, and so you can enjoy the scenery while fulfilling all of your superficial, materialistic needs. So that's it, guys. Granted, these five activities do not give full justice to what San Diego has to offer, but I figured you'd like a starting point to think about before visiting the most beautiful city in the country. With many thanks from the communities of SixPrizes, HeyTrainer, Pokegym, TheTopCut, and the passerbys on my Facebook, the brackets for Top 16 Canadian Nationals, Top 32 Mexican Nationals, and – the largest of all -Top 128 United States Nationals have been put up! Quite a great number of variety, eh? 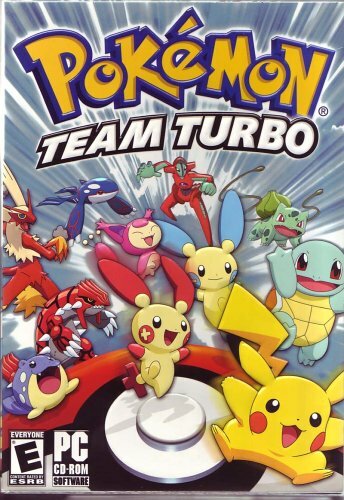 Tyranitar/Serperior, played by James A.
Samurott/Donphan, played by Nikki F.
Sharpedo/Cinccino, played by Justin W.
Yanmega/Roserade/Sunflora/Vileplume/Ursaring, played by Carlos and Xander P.
Ambipom/Weavile, played by Alaric M-B. Yanmega with combinations of either Magnezone/Pachirisu, Kingdra/Jirachi, or both. Yanmega/Vileplume with various techs such as Mew/Muk/Jumpluff, Sunflora, Roserade, Ursaring, etc. … as well as those random rogues, combinations and such! Remember: this is Worlds, and unexpected things could happen! Look back to last year, when the Japanese ran Warp Energies and Professor Oak’s New Theory in their Luxchomps, or even the Team Magma decks back in 2004! See you in San Diego, if you do make it!